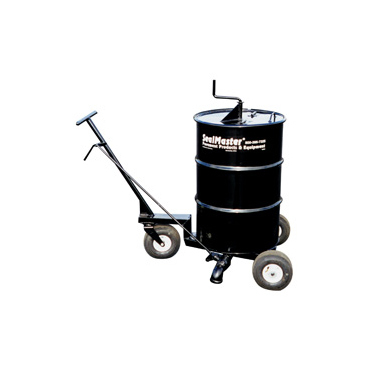 The Sealer Wheeler is an economical mixing and dispensing unit that is ideal for pavement sealers, tennis court coatings, and many other uses. Available in 55 gallon and 30 gallon capacity. Economical mixing and dispensing unit. Mix and apply pavement sealers, tennis court coatings & more. View In Catalog 30 gal. Keg 195 lbs. 55 gal. Drum 215 lbs.